The two photos above I saw on Pinterest when I first started pinning a year ago. I thought that the colors were amazing, the rooms had this simple elegant and serene feel to them. That’s why I had to go back and see the rest of the home that wouldn’t you know it was featured in Traditional Home. To be quite honest I would of really loved to see more photos of this home. It look amazing including the shoe closet if you were to scroll to the bottom of the post. Hi Megan! 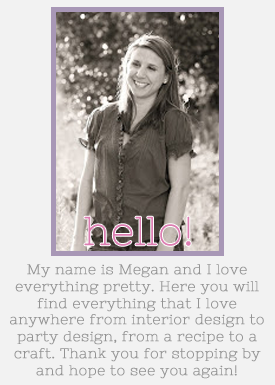 Stopping by from SITS- love your blog! Isn't Pinterest the best thing ever? Excited to see how your blog changes over the 31DBBB. You have a beautiful site already! I love it, especially the way they convert closet to a little office.